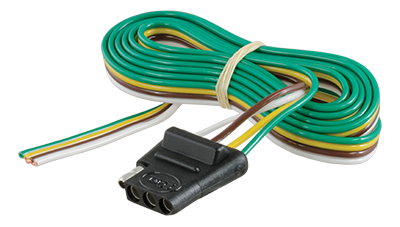 Commonly used for small boat trailers, utility trailers, popup campers and other basic trailers that don't have trailer brakes, 4-way wiring connectors use four wires to carry out essential lighting functions. These functions include turn signals, brake lights and taillights or running lights. Like other connectors, a 4-way connector also provides a wire for a ground connection.